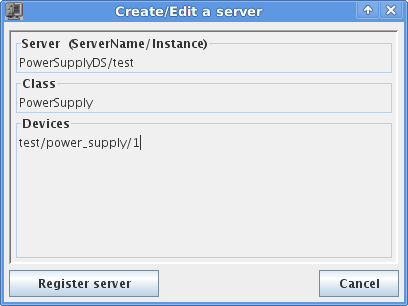 The name of the device server (example: PowerSupplyDS ). This will be the mandatory name of your python file. Next steps: Check out the PyTango API.